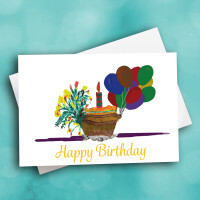 Share your birthday wishes by sending this artistic, unique birthday card. 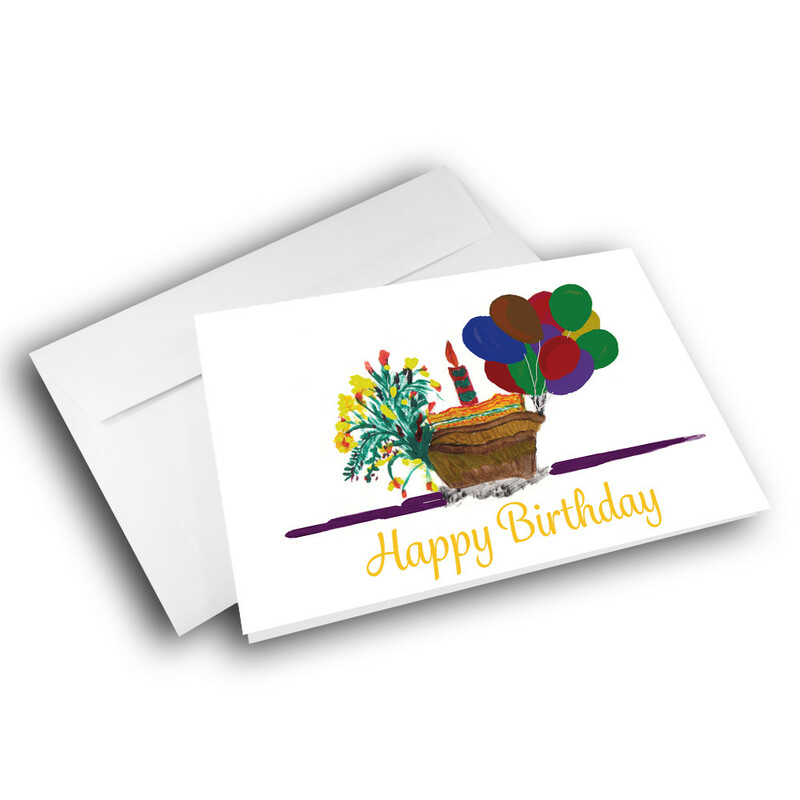 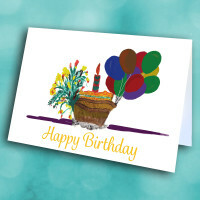 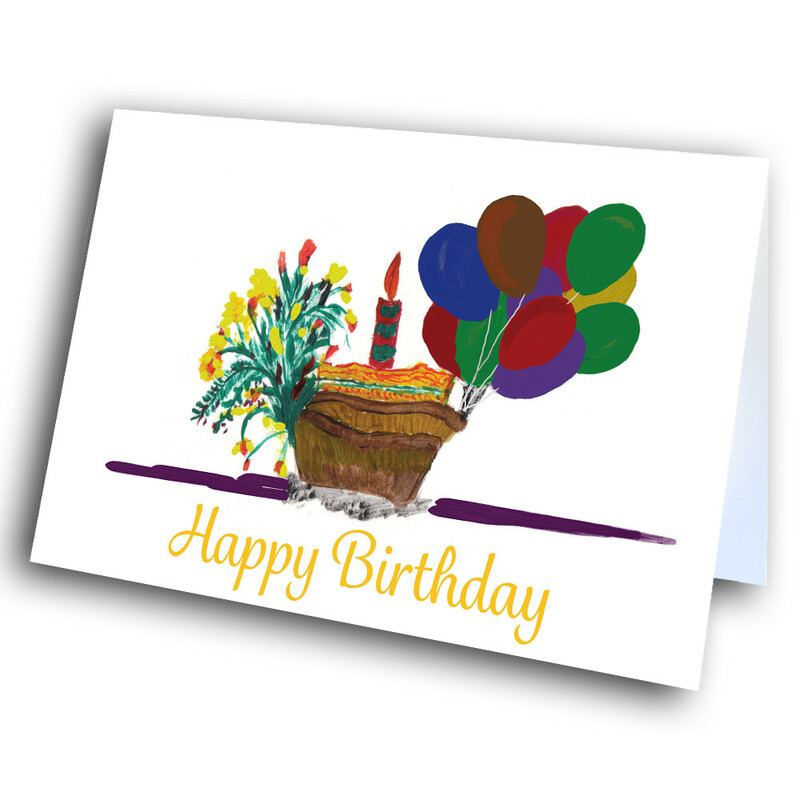 The simplicity of this card adds to its appeal; a burning candle sits in the basket on the front, in between a bright bouquet of yellow flowers, and an equally bright bouquet of colorful balloons. Set against a stark white background, the focus is drawn to the artwork and the message underneath. 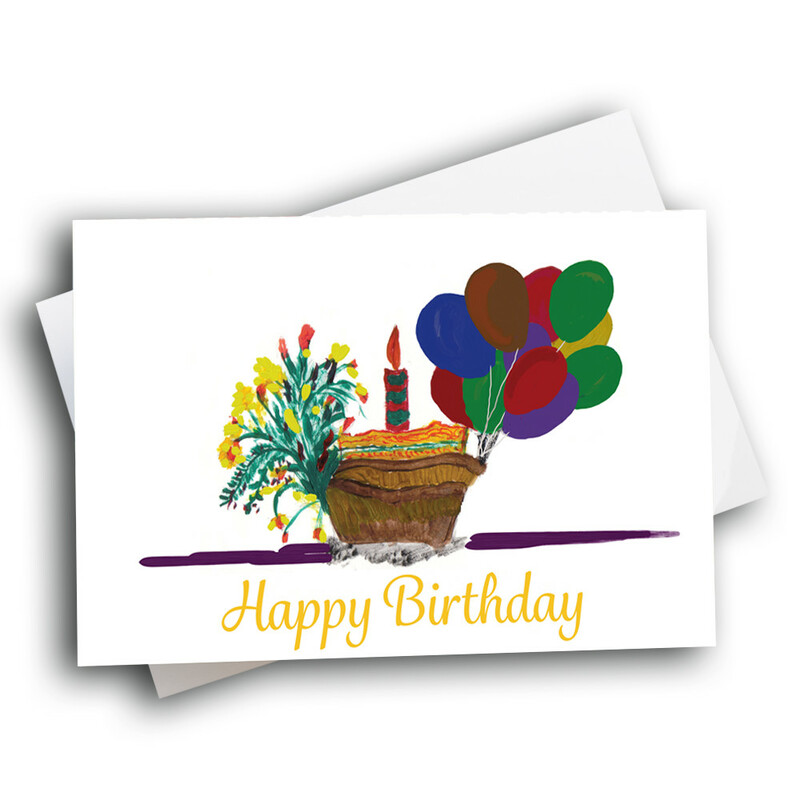 The art style is detailed and inviting, and is sure to please all ages. 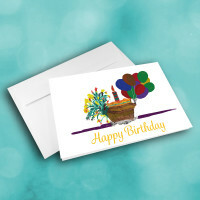 Add a custom message inside to make this birthday card unique and meaningful.